By Richard Walshe and Alan Wall of Workhouse. I’m a fan of American designer Aaron Draplin who makes these great posters for different US states. I started wondering “what would I put in a Dublin one?” and eventually made it myself. I particularly wanted to include the Poolbeg chimneys. Bank of Ireland once had an ad where they painted them blue and white which I thought was brilliant. 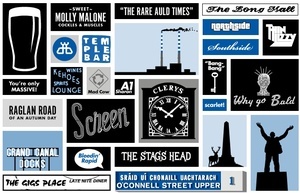 We are thinking of turning this into a big poster with lots more Dublin icons. 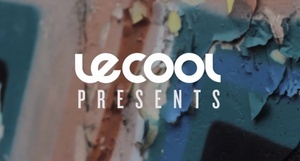 Posted in Misc and tagged Le Cool Dublin at 11:37 am on September 13, 2012 by Broadsheet.